Today I am thrilled to welcome Michelle Schroeder-Gardner from Making Sense of Cents for a guest interview! Amazon tracks people who click on your links for 24 hours, which means anything they purchase using your link will get you a commission. That is one of the simplest ways to begin implementing affiliate marketing ASAP. If you have a blog, you can promote Amazon links throughout your blog posts too. By placing Amazon affiliate links on your blog, you can then share your blog post on social media which does not limit you from sharing on your personal facebook wall. The Amazon affiliate program is not available to residents in every state. Now that we’ve had a brief crash course in affiliate marketing. Affiliate links are included in this article. This means that I will receive a commission if you purchase Michelle’s course through my link. 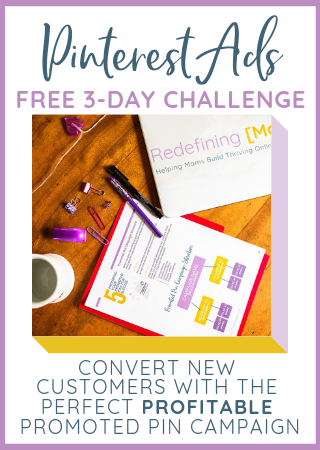 Michelle’s course, Making Sense of Affiliate Marketing, has been a game changer for me in monetizing Redefining Mom. I’ve learned how to effectively earn money with affiliate marketing by leveraging the strategies inside the course. I highly recommend considering affiliate marketing regardless of your experience level in online business. Check out what Michelle has to say! Welcome! Tell us a little bit about yourself and how you started blogging. Hello! My name is Michelle Schroeder-Gardner and I am the owner of the personal finance blog Making Sense of Cents. I have three finance-related college degrees and I was previously a financial analyst before I quit my job to blog full-time. In the summer of 2011, I started my blog with the goal of teaching people how to save money as well as talking about my personal finance journey after reading Cosmopolitan magazine (funny, right?) that featured a personal finance website in one of their articles. I became extremely interested in that website and my interest in blogging just grew from there. This is hilarious, before that summer, I had no idea about what blogs were, that they could even make money or anything along those lines. I did not create my blog with the intention of making money blogging. It was all just a hobby and an outlet. I then realized how much I loved blogging and realized that it was for me, so now I am a full-time blogger! I went full-time in October of 2013 and I haven’t looked back once. Blogging has completely changed my life for the better and it’s something that I recommend everyone try if they are interested. On my blog Making Sense of Cents, I talk a lot about different ways to make extra money, the best ways to save money, how to start a blog, reaching your dream, traveling (me and my husband RV full-time), and more. I love running Making Sense of Cents and I am very happy that this is now my full-time career, my business, and pretty much my life. Affiliate marketing is when you earn income by placing affiliate links on your website, social media account, some other type of platform, etc. and have people purchase a product through your link. If you get someone to sign up through your affiliate link, you are then rewarded by the company for promoting their product. If there’s a product that you enjoy, you can earn money by referring your readers, friends, family, and so on to without having them pay anything extra. In fact, usually, affiliates can get a better deal for a product which can help everyone around you save money! How did you discover affiliate marketing could bring in a full-time income for you? I’ve been very interested in affiliate marketing since around one year after I created my blog. However, I never thought that affiliate income was possible for me because I always thought that you had to have a huge following to earn affiliate income and for it to be worthwhile. However, I now know that I’m wrong :), I now know that you do not need a ton of page views or a huge following in order to make a great income through affiliate marketing. I love affiliate income because it can feel quite passive. You can create just one blog post or social media post and potentially earn money from it years down the line, as long as you maintain it and keep generating traffic to it. With affiliate marketing, I can enjoy life more and know that I am still able to earn a great living promoting products that I use and enjoy. Think about it on these terms: If you already enjoy a product, why not get paid to promote it? How do you select the affiliates you support? I choose the affiliate products that I promote and support by first looking at what I’m already using. There are so many things that the average person uses. In fact, I recently read that the average household has 300,000 items. That means that there are a ton of things that everyone already uses that they can then effectively promote because it’s all things that they use on a regular basis! I also promote things that I know my readers would benefit from, that I have fully researched and can vouch for. How long does it take to make a part-time or full-time income off of affiliate marketing? What is your #1 tip for people who are just starting out with affiliate marketing? My best tip would be to just try to be successful with affiliate marketing! I waited way too long to try affiliate marketing, and I still regret it That was just dumb! Even if you have a low amount of page views or if you are a brand new blogger, you can still be successful at affiliate marketing. It’s all about having the correct strategy. Who should purchase Making Sense of Affiliate Marketing? You want to run a money-making blog. You want to earn money blogging while you are sleeping. You tried affiliate marketing but didn’t have any success. In Making Sense of Affiliate Marketing, there are six modules, over 30 lessons, several worksheets, bonuses, an extremely helpful and exclusive Facebook group, and more. 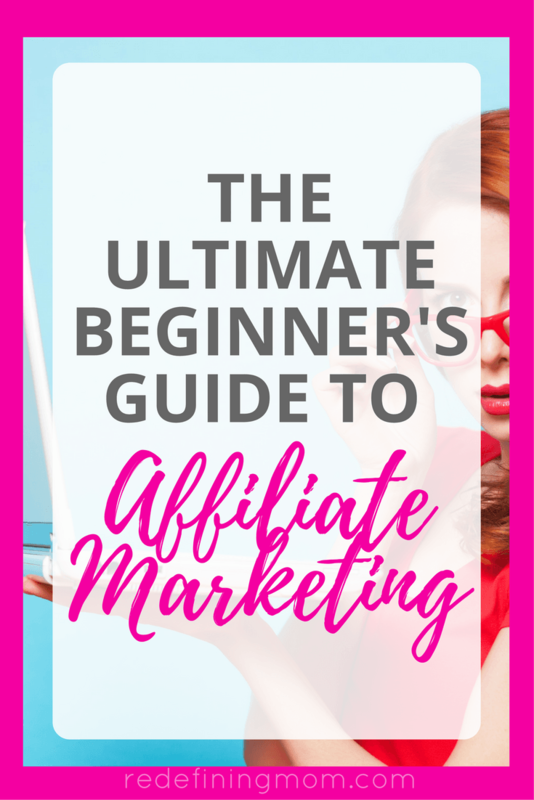 I go through everything that you need to know about affiliate marketing and more! The background of affiliate marketing, what affiliate marketing is, and so on. Why should someone that is new to online business invest in Making Sense of Affiliate Marketing? Making Sense of Affiliate Marketing is a great learning tool, even if you are a brand new blogger. Through taking Making Sense of Affiliate Marketing, you will start off blogging correctly by learning the right strategies to promote to your followers. You can learn from my affiliate marketing mistakes and learn the best ways to start making an income by being an affiliate. Through taking this course you are sure to grow a profitable blog quicker than the average blogger, as you’ll learn exactly what you need to know about affiliate marketing. 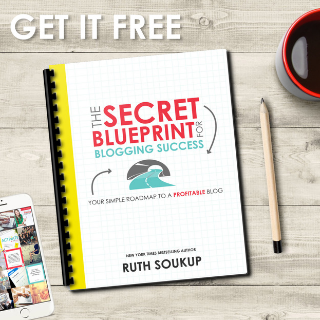 So, even if you only have one blog post, you are ready to get started with this course! Making Sense of Affiliate Marketing is currently priced at $197. There is a payment plan of $105 a month, for two months, which makes the total cost $210 on the payment plan. The course is a great value and has over $500 in free bonuses as well! Now It’s Time to Implement Affiliate Marketing! WOW! That is a lot of information! Thank you for stopping by and sharing all of your knowledge with us, Michelle! Did you know Michelle makes over $100,000 a month on her blog? YES! I know, it’s crazy. Half of her income comes from affiliate marketing so she knows what she’s talking about. I hope you’re leaving with a better understanding of what affiliate marketing is and how you can utilize it no matter what stage of online business you’re in. I’d be happy to answer any questions you may have about the course. I’ve taken every module and I actively participate in the course’s Facebook group. I hope to see you inside Making Sense of Affiliate Marketing! Want more business building advice? JOIN MY FREE FACEBOOK GROUP FOR MOM ENTREPRENEURS! I so wish I could sign up for Amazon Affiliates but my state is greedy with taxes. 😠 This is a great interview Monica! I can’t wait to get my hands on this course. It’s at the top of my list.